Homeowners on Talahi Island can rely on American Craftsman Renovations, a Savannah Georgia general contractor for the following services: kitchen remodeling and renovations, bathroom remodeling and renovations, home additions, structural repairs, roofing services, and historic restorations. Talahi Island homeowners looking to enhance their kitchen can rely on American Craftsman Renovations for the best kitchen remodeling and renovation services. Depending on your wants, needs, and budget, we can make light enhancements with fresh paint and a new backsplash to reconfiguring your entire kitchen with new custom cabinets, a walk in pantry, and a breakfast nook. Create a bathroom that you will enjoy using each and every day with Talahi Island general contractor American Craftsman Renovations. We provide master bath, guest bath, and hall bath remodeling and renovation services that can help you create an inviting space in your home. A bathroom is one of the most used rooms in a home, so let us help you make it into a space you will love using. Talahi Island homeowners that are looking to increase the size of their property can accomplish their home addition goals with Savanah Georgia general contractor American Craftsman Renovations. When your growing family needs more space, rely on us to build you the extra bedroom and bathroom, dedicated office space, or increase the size of your kitchen. Whatever your home addition needs are, we can help integrate them seamlessly with your existing structure. 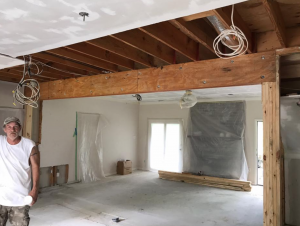 When your Talahi Island home is in need of structural repair work, make sure you are working with an experienced general contractor that has many years of experience. 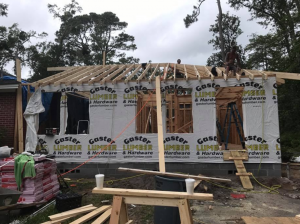 Our locally owned Savannah Georgia general contracting firm knows Talahi Island properties and will not take risks with your time money or investment. American Craftsman Renovations also provides roofing services to homeowners on Talahi Island. Our general contractor can provide minor repair work, if you have damaged shingles or a small leak, to replacing your entire roof if it is damaged beyond repair or simply old. Ensure your Talahi Island historic home is restored properly by relying on expert general contractor American Craftsman Renovations. We take our time with every project we take on, not taking risks with your time, money, or investment. Historic properties require special attention to detail and often need foundation securement. Let us help restore your home, creating a functional inviting space for you and your family, while ensuring your property is safe for everyone.